Nice, Cote Azur and the French Riviera call to mind sunshine and vacation. The region enjoys a truly exceptional climate. On top of this, it is accentuated by a countryside encompassing an abundance of touristic and cultural opportunities. It is these same surroundings that began to stimulate tourism within the region back in the 19th century. No wonder so many people would like to live here. And buying a second home to enjoy the French Riviera lifestyle does bring you happiness. Nice, Cote Azur is one of the principal and most popular cities of France. 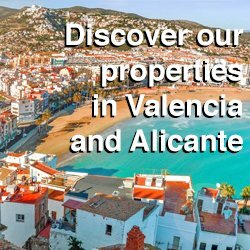 With its favorable climate, it inspires a way of life that is typically Mediterranean, making Nice a sought-after tourist destination. 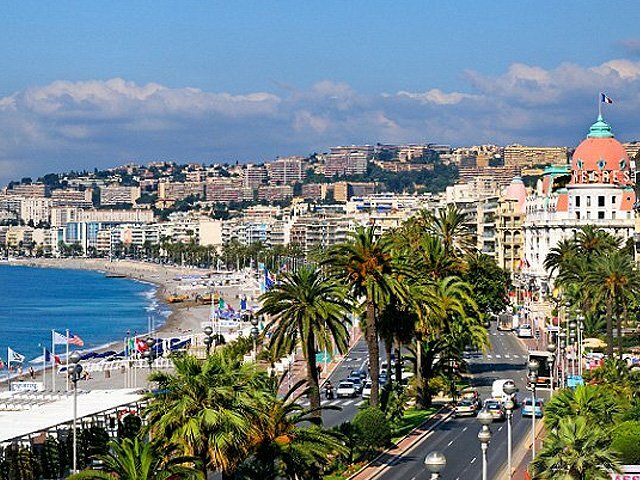 In 2015, over 11 million tourist cane to visit Nice, Cote Azur. The city and the region are, of course, oriented toward tourism and pastime activities, but they also welcome numerous academics and scientists to their acclaimed centers of research, as well as businessmen during conferences and other various events. 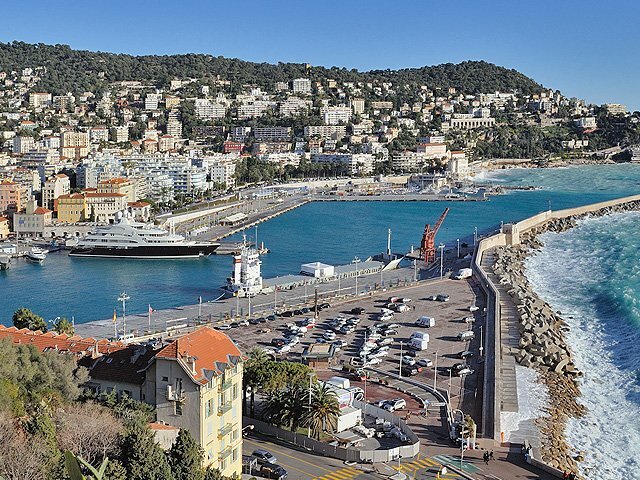 The Port of Nice was created in the 18th century. The name “French Riviera” is often evoked as a synonym for the Côte d’Azur. However, the term originally referred solely to the part of the Mediterranean Coast that extends from Nice toward Menton and the Italian border in the East. Its long-standing attraction to tourists stretches back to the 19th century, when many English aristocrats visited the region regularly. The other principal cities of the region are Villefranche, Saint-Jean-Cap-Ferrat, Beaulieu, Monaco, and Roquebrune-Cap Martin. Two additional sites, Eze and La Turbie, also merit special attention. The Nice, Cote Azur area backs onto the Southern Alps, where certain summits reach an altitude of 3,000 meters. The Alpine foothills look directly over the Mediterranean Sea. 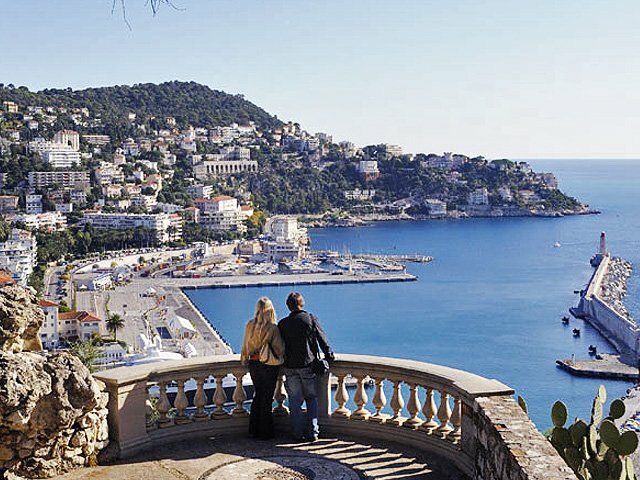 The ensemble of the Mediterranean Coast and the countryside of Nice offers landscapes and panoramas of an exceptional quality, with rich and vivid colors. The Nice countryside belongs to the Southern Alps and offers spectacular sights, resorts, winter sport stations, and, above all, many villages including Sospel, Sainte Agnès, Peille, and Lucéram. Other sites that shouldn’t be missed are Mercantour National Park, the Vallée des Merveilles with Mount Bégo, the valleys and gorges of the Nice countryside, including Vésubie, Tinée, Roya, and La Turbie. Nice, Cote Azur is located along the Baie des Anges, a vast crescent formed by the Mediterranean Coast. In the center of the city we can also find the mouth of a small river, the Paillon. On the West coast, the town stretches to the mouth of the Var, where the second largest airport (by traffic) of France is located. – Cimiez, which conserves several vestiges from the Roman epoch (amphitheaters, thermal baths, houses, arenas, etc.…), in addition to beautiful properties built for the English aristocracy at the end of the 19th century. Last but not least, a historical spot that is also worth a detour: The Russian Orthodox Cathedral. The history of Nice allows us to better understand the disposition and the characteristics of a city that is marked by a strong personality. 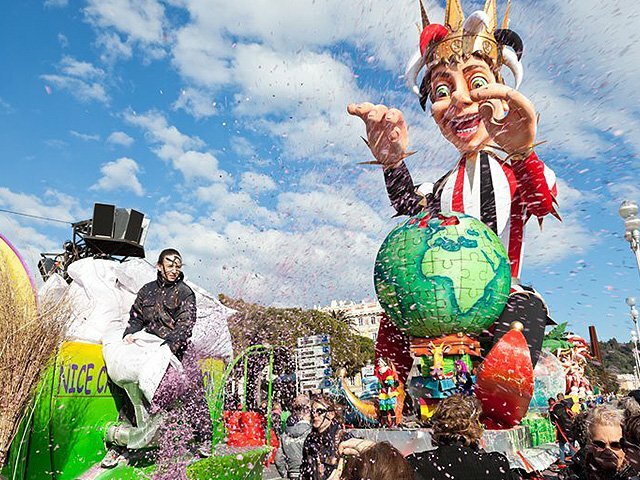 The Carnival of Nice is the most important tourist event of the winter season. Numerous other celebrations also take place throughout the year, including the Festival of Jazz and the Fête de Mai. Nice has many green spaces, such as Jardin Albert I, the Promenade du Paillon, and spaces along the pedestrian trails that surround the city, allowing visitors to discover the beautiful panorama of the Baie des Anges. 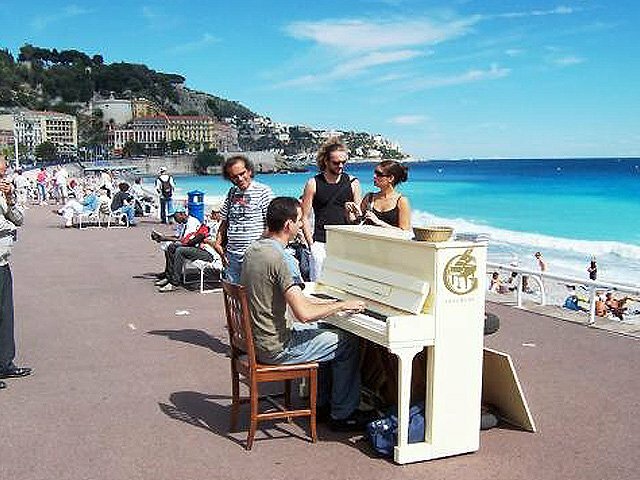 The Promenade des Anglais symbolizes the city of Nice, Cote Azur. It expands along the Baie des Anges, and is very long; it begins at the airport on the west coast, ending only as it reaches Castle Hill on the East coast. It was created in 1820 by an English pastor, Lewis Way, which explains its name, The Path of the English. It was refurbished around 1930, and inaugurated in 1931 by the Duke of Connaught, one of the sons of Queen Victoria, the late queen of England. It now encompasses a double lane for cars; the median planted with palm trees. On the waterfront, the pedestrian promenade seems boundless. The Promenade des Anglais has very beautiful properties like the Palais de la Méditerranée, conceived in 1929 by the architect Charles Delmas, in addition to large hotels like the Negresco Hotel and the West End. Rue Masséna (a pedestrian street), Place Masséna (the main square of the city), and Avenue Jean Médecin make up the active heart of the city. Rue Masséna is the principal pedestrian street of the city. On the West side, it extends along the rue de France (Street of France) on which we find an Anglican church that was built in the 19th century, yet has a Gothic style. Above all, it is the interior of the church that is remarkable. Staying on the rue de France, we find the Cross of Marble that was installed in 1538, on the occasion of the meeting between François I, the Emperor Charles Quint, and Pope Paul III. Facing the cross is a column in the Egyptian style, commemorating Pope Pius III’s visits during the epoch of the first Empire at the beginning of the 19th century. At the end of rue Masséna we reach Place Masséna, adjoined on one side by the Jardin Albert I and the Théatre de Verdure. On the other side is the Promenade du Paillon. This entire ensemble was created above the mouth of the Paillon River. The buildings on the north side of Masséna Place (see the photo below) were constructed in 1835 in the Genoese style of the 17th century with a typical red color. The above photo shows Masséna Place after the construction of the tramway. In front, at the beginning of rue Jean Médecin, is the principal artery of the city. The Notre-Dame basilica is situated on this avenue. It is the biggest church in Nice, and was built between 1864 and 1868. The first Carnival of Nice took place in 1878, having a similar spirit to that of the Carnival of Venice during the 18th century. It occurs at the end of the winter season, close to Mardi Gras, and includes cavalcades and float parades with flower and confetti fights on the Promenade des Anglais, concluding with an impressive fireworks show. Castle Hill is the original birthplace of the city, its location making it easy to defend. It is there that the Castle of Nice—of which there are no remains—was razed at the beginning of the 18th century by Duke Berwick, one of Louis XIV’s marshals. On this hill, we find elements of the old cathedral that was constructed in the 11th century. The major part of Castle Hill is now a public park. The panorama is splendid, overlooking both the port and the modern city. Vieux Nice is situated between the Paillon River, Castle Hill, and the sea. It was reconstructed during the 17th and 18th centuries, and preserved the architecture of the time period. The old city is composed of narrow, straight streets surrounded by tall houses. This quarter is under rehabilitation and has become a popular site for tourists. We find numerous monuments along and near to the narrow streets. 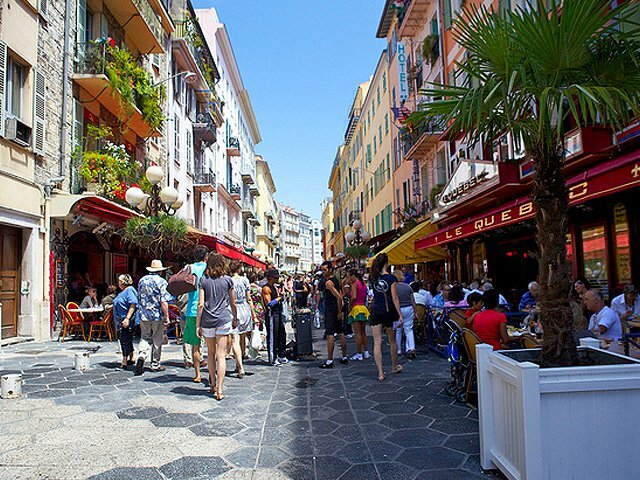 Place Saint-François, home to fish markets, is one of the most animated points of Vieux Nice. In the 19th century, it marked the terminus for French diligence coaches. Cours Saleya traces the border of Nice. It is home to both flower markets and a fruit and vegetable market. In the middle of the courtyard, behind the square, is the Palais de la Préfecture, which is the former Palace of the Sardinian Kings. Architect Jean André Guibert, a native of Nice, constructed the Nice Cathedral in the 17th century. The style is baroque and the bell tower is from the 18th century. The cathedral carries the name of a Christian martyr, who is the patron of Nice. The Place Rossetti faces this church; it is one of the liveliest spots in Vieux Nice. The Church of Jesus, l’Église Saint Jacques le Majeur, was edified by the Jesuits during the 17th century and is also of baroque style. The Port itself is its own small city, as it is slightly removed from the center of the city, to the east. It connects to the rest of the city by Ségurane Street. It is not, however, the original port of Nice; the original port is situated to the west of Castle Hill. This port was reclaimed, beginning in 1750, from the swampy area that made up the mouth of the Paillon. The river was then diverted onto its current path, which unifies it with the old fortifications of the city. The Port on the west side was filled around 1770. There are houses in neo-classical style on both sides of the church on the square of the port. Traveling toward the Port by the seaside route, we pass in front of a grand monument erected in the memory of the 4,000 habitants of Nice who were killed during World War I.
Cimiez (Cemelanum) is situated 2 kilometers above the Mediterranean shore. 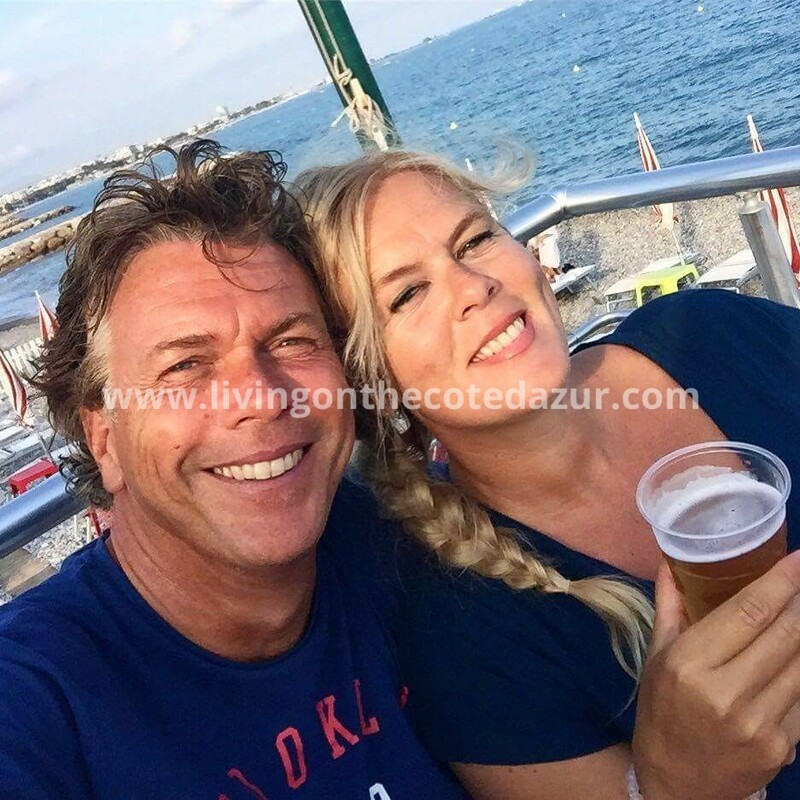 The site now belongs to the city of Nice, Cote Azur. 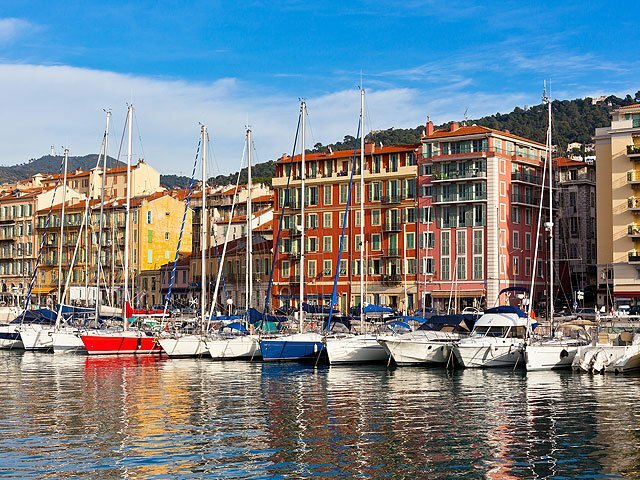 Originally, it was the principal city of Ligures Vediantii from the 3rd and 2nd centuries BC. Cimiez owes its development to the victory of the Emperor Augustus over the Celto-Ligurians tribes from the Alps between the 16th and 14th Centuries BC. The Tropaeum Alpium bears testimony to this victory. Augustus established the Provence and the Alpes-Maritimes regions, and defined Cemenelum, which would eventually become one of the garrison cities to be crossed by Via Julia Augusta, as the capital of the latter. In the 2nd and 3rd centuries Common Era, Cimiez acquired an amphitheater and three thermal bath systems with residences and shops nearby. At this time period, the city was home to several thousand habitants. The arenas measured sixty-five by fifty-five meters and could hold up to 5,000 spectators. The thermal baths had pools, cool, tepid, and hot baths, heat chambers, and palestras, and expanded over about 2 hectares of land. Beginning in the 3rd century AD, the region suffered from barbarian invasions. Cimiez was abandoned at the end of the 3rd century. It reappeared at the beginning of the 5th century as a Christian settlement, with a cathedral and baptistery making up the last evidence of urban life. The invasions that continued from the 5th to the 10th centuries left the country devastated and sparsely populated. When calm returned, Cimiez had lost its importance and Nice, the seaside municipality, had begun drawing in populations. Near the Roman monuments are the Franciscan church and monastery of Cimiez. The Franciscans have occupied it since the 16th century. The beautiful church houses three masterpieces of Louis Bréa, an artist of Nice who worked during the latter half of the 15th century, in addition to a monumental altarpiece sculpted in wood with gold leafing. The garden, the former vegetable garden of the monks, and the Franciscan museum in addition to the monumental cemetery where Matisse and Dufy are buried, are also points of interest. At the end of the 19th century, Cimiez became an aristocratic quarter desired for its tranquility. Today we find magnificent buildings that were built for English aristocrats who visited resorts there during the winter season. The Hotel Régina (see the photo below) was constructed at the end of the 19th century, just next to the ruins of Cimiez. It is an immense building of grand style that has welcomed many well-known figures, including Queen Victoria of England. Cimiez Boulevard is comprised of numerous constructions from the same time period of remarkable architectural style. At the end of the boulevard we can find Hôtel Majestic and the Grand Palais. All of these beautiful buildings have been reconfigured to accommodate apartments. Their allure allows us to better understand the lives of the great bourgeoisie (especially the English) at the end of the 19th century. The cathedral was intended for the Orthodox religion. 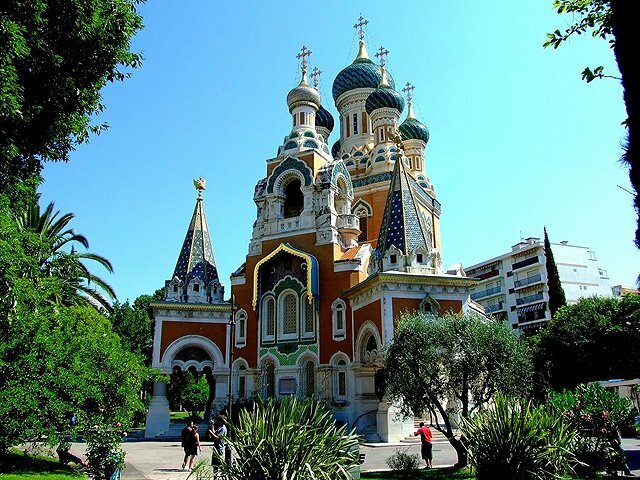 From the middle of the 19th century, many Russians moved to Nice and the region, creating the demand for a church that reflected their religion. The cathedral was finished at the beginning of the 20th century and inaugurated in 1912, during the Franco-Russian alliance. It is dedicated to Saint Nicholas in the honor of Czar Nicholas II, who supported its construction. The cathedral is more than fifty meters tall and it is one of the tallest churches of this type outside of Russia. With its six onion-shaped copulas (see the adjacent photo), it is in the typical style of Muscovite churches. The interior has a Greek-Cross plan, and is richly decorated with many icons, woodworking, and interesting frescos. 400,000 years ago, the first inhabitants of Nice, elephant hunters, settled on the Terra-Amata site. In 300 BC, the ‘Massaliotes’ founded NIKAIA, a trading post by the sea. From 13 BC , the Romans built a second town, CEMENELUM, close to NIKAIA and situated on the Cimiez hill. Nice city that was founded by the Phoenicians of Marseille, who had established themselves at the extremity of the Baie des Anges. 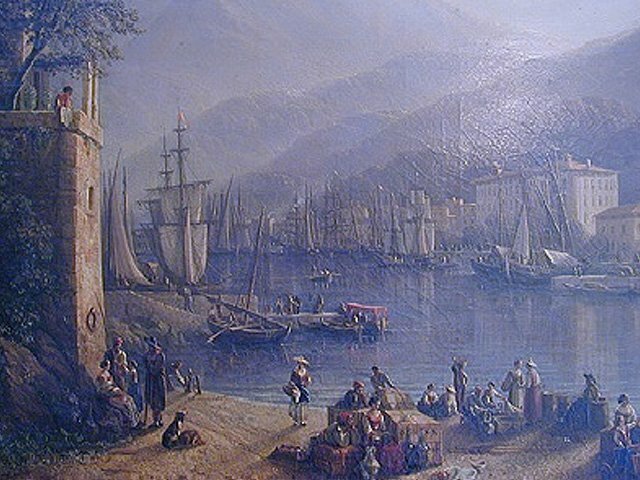 These Greeks had understood the interest of having a natural port dominated by a steep hill, which provided security and protection for the area. The first port, situated to the west of Castle Hill, is located at the site where we now find Vieux Nice. In the middle of the 2nd century before the Common Era, the native Celto-Ligurians from the interior became aggressive, forcing the coastal Greeks to ask for help from Rome. The Romans ended up staying and dominating the region, including the Provincial and the Alpes-Maritimes region, of which Cimiez was the capital. The tribes of the hinterlands were not definitively conquered until being defeated by Emperor Augustus. The Tropaeum Alpium at La Turbie commemorates this event. The diocese of Nice was established in the 4th century, falling within the archdiocese of Aix. The diocese of Cimiez was also established in the 5th century; however, it was under the jurisdiction of the archdiocese of Embrun. This confusing situation generated a conflict that the Pope Hilarius resolved by fixing both cities to the Archdiocese of Embrun. Thereafter, the degradation of Cimiez led to the reattachment of its bishopric to that of Nice. Following invasions during the second part of the 5th century, the region was controlled by the Visigoths, the Ostrogoths, the Franks, and finally by the Saracens, whose raids devastated the region until the 11th century. For many centuries, the country remained ravaged and sparsely populated. The East part of the Alpes-Maritimes region shared a similar fate to its Savoyard and Italian neighbors during the Middle Ages and during the Modern Era. In the 13th century, Monaco and Nice found themselves under the control of the Genoese. Taking advantage of internal rivalries in the House of Anjou that loosened control over Provence, the city of Nice developed municipal liberties and even made an alliance with Pisa against the Genoese. In 1388, Nice and the count refused to recognize Louis d’Anjou as the new count of Provence. The city thus avowed itself to the Count of Savoy. It remained under the control of Savoyard counts and then Savoyard dukes for about five centuries. In 1538, thanks to the meditation of Pope Paul III, the Emperor Charles V and the King François I of France signed the Truce of Nice, even though the two kings did not physically meet. The Emperor was installed in Villefranche whereas the King of France was at Villeneuve-Loubet. In 1543, François I bombarded Nice with a French-Turkish ship. The city was taken but the castle resisted. The Duke of Savoy managed to retain the county of Nice. At the beginning of the 18th century, Nice and the surrounding area were caught up in the torment of the War of the Spanish Succession between Louis XIV and his European enemies (including Austria and Britain…) In 1705 the city of Nice was taken by the French, commanded by Duke Louis d’Aubussonde La Feuillade. The Castle surrendered in 1706 and was subsequently destroyed at the command of Marshal de Berwick. The Savoyard troops reclaimed Nice the following year. In 1792, during the French Revolution, the city, at its request, was annexed to the Republic of France. It served as a fulcrum for General Bonaparte (the future Napoléon I)’s campaign for Italy. André Masséna, one of the generals of the revolution and of the First French Empire, was from Nice. In 1814, the city returned to the jurisdiction of the Kingdom of Sardinia. It was returned to France definitively in 1860, thanks to the aid brought by Napoléon III for achieving the unification of Italy, in favor of the family from Savoy. 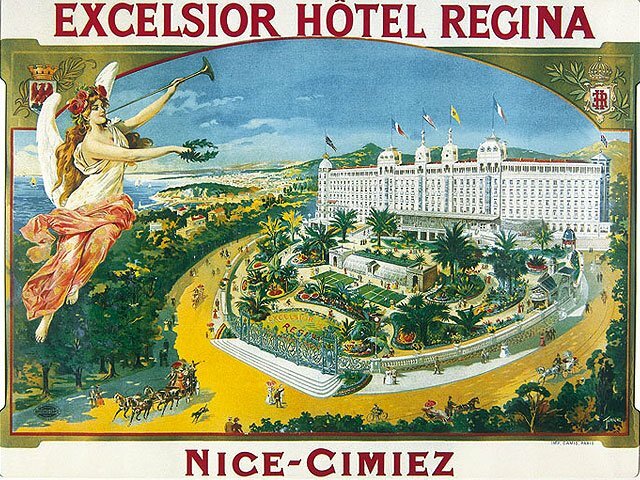 From 1830 onward, members of the English and European aristocracy began spending the winter at Nice and at the Riviera. This trend increased after the region of Nice was annexed to France in 1860. In the middle of the 20th century, the summer months perhaps upstage the winter, but Nice and the Riviera are centers of tourism and leisure during the entire year. More info about all activities can be found at the Tourist Office.